Like many French, you may also be a motorcycle enthusiast and you want to travel and escape from the country , a road trip somewhere on another continent. Think about Mexico! Your bike will be a great way to browse your dream destinations; a trip that you can take “solo” or in a group. Before setting off, consider the necessary equipment, preparations and of course to establish a list of places to visit. These are procedures that will make your road trip to Mexico an unforgettable vacation. A road trip is only successful if you prepare the necessary equipment. Choose the bike for you (your own or rent) road, enduro, vintage,…. Then think about your equipment: jacket, pants, shoes (riding, boots …), backpack, tank bag, gloves (depending on the season: airy, mid-season or heating), motorcycle helmet , (With visor and smoke screen, preferably removable), on-board camera (to take videos, all along your road trip by motorcycle). What preparations should you take for your road trip to Mexico? 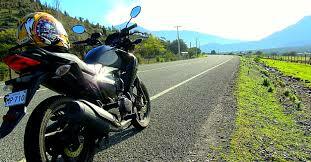 To plan your road trip in Mexico on your motorcycle, remember that it will be an adventure. If the trip is organized by a tour operator, officials will handle the transportation and paperwork, so, be sure to choose your partner. If you are going on your own, make sure you prepare. Complete customs procedures (export and temporary import). Prepare the necessary documents for your road trip by motorcycle: passport, Mexican visa or permit , and international license.